The world’s first guidelines for chronic fungal lung infections for doctors and laboratories have been published today, by the European Respiratory Society (ERS) and the European Society of Clinical Microbiology and Infectious Diseases (ESCMID). Published today (23 December, 2015) in the European Respiratory Journal, these new guidelines describe the important features of this disease and provide comprehensive treatment recommendations. Chronic pulmonary aspergillosis (CPA) is a subtle and insidious problem in patients who already have damaged lungs. It kills about 80% of sufferers over five years unless diagnosed and treated with long-term antifungals. Across Europe, an estimated 240,000 people have CPA, and worldwide around 3 million. The late stages of CPA (aspergilloma) are familiar to respiratory specialists, but the early features are often missed. The European Society of Clinical Microbiology and Infectious Disease (ESCMID) is currently researching the new critical breakpoints for antimicrobial agents in clinical development through its European Committee on Antimicrobial Susceptibility Testing (EUCAST). The group is highly respected amongst the world’s leading experts, but is relatively unknown among healthcare communities and the general public. 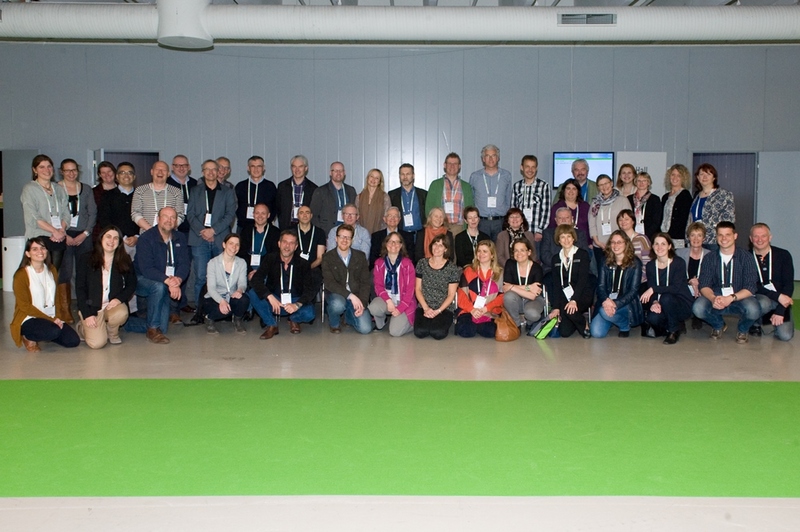 The European Committee on Antimicrobial Susceptibility Testing (EUCAST), organized by ESCMID and ECDC, has united all European countries behind common antimicrobial breakpoints and methods for susceptibility testing. The EUCAST website has more than 50,000 visitors per month. ESCMID and ESWI call on EU health services to use hospital flu vaccination uptake rankings. Healthcare professionals should be encouraged to take personal responsibility, as unvaccinated workers present an unnecessary risk. The European Society of Clinical Microbiology and Infectious Diseases (ESCMID) is calling on the healthcare industry to lead by example and implement universal flu vaccination for healthcare workers. ESCMID is encouraging all health workers to take personal responsibility and get vaccinated this season, particularly those who come into contact with high-risk groups. ESCMID advocates the need for greater education, guidance and research on the build-up, treatment and prevention of biofilms, which contribute to antimicrobial resistance. The European Society of Clinical Microbiology and Infectious Disease (ESCMID) – an organization that explores the risks and best practices in infectious disease – advocates the need for greater education, guidance and research on the build-up, treatment and prevention of biofilms, which contribute to antimicrobial resistance. In May 2015, the ESCMID Study Group for Biofilms (ESGB) addressed this issue and published the first clinical guidelines for the diagnosis, prevention and treatment of biofilm infections in ESCMID’s official journal “Clinical Microbiology and Infection”. The European Society of Clinical Microbiology and Infectious Diseases (ESCMID) launches study groups to create networks for forensic and veterinary microbiology. The ESCMID Study Group for Forensic and Postmortem Microbiology (ESGFOR) will create a new network of microbiologists, virologists, anthropologists and archaeologists working in the field of forensic medicine. Professor Amparo Fernandez-Rodriguez, head of ESGFOR, stresses the importance of this group in facilitating cooperation between (forensic) pathologists and (forensic) microbiologists. 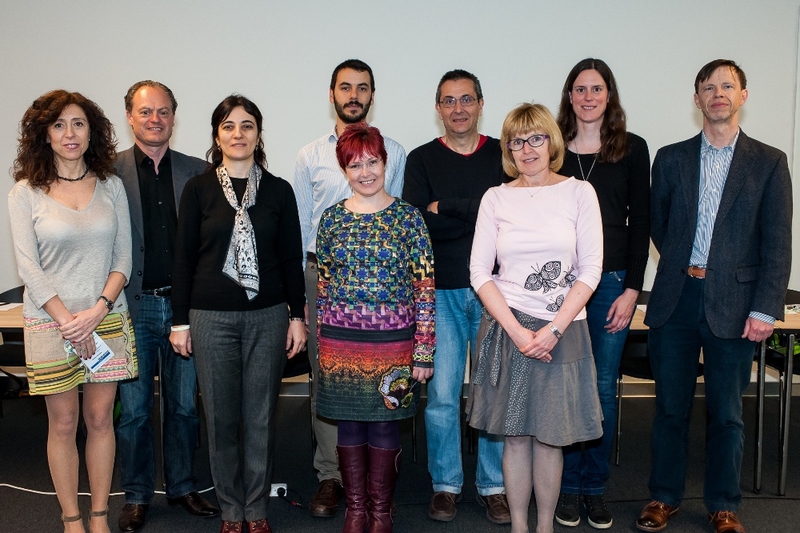 The ESCMID Study Group for Veterinary Microbiology (ESGVM), chaired by Professor Luca Guardabassi, aims to contribute to the advancement and harmonization of methods for diagnosis and antimicrobial susceptibility testing (AST) of veterinary pathogens. The group will create a network for the surveillance of zoonoses and antimicrobial resistance in animal populations as well as for early detection of new or exotic infectious agents using animals as sentinels of human disease. The European Society of Clinical Microbiology and Infectious Diseases (ESCMID) for the first time allowed smaller companies to present their drug pipelines in a decicated session at its ECCMID congress. 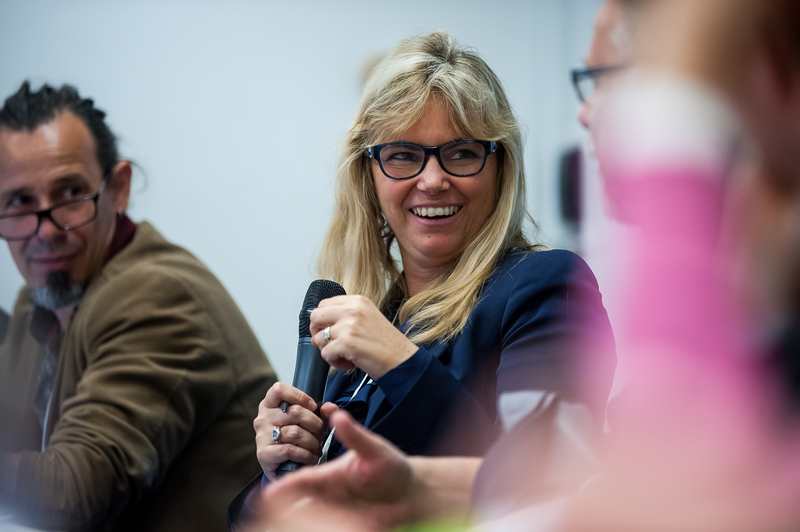 Copenhagen, 28 April: Ursula Theuretzbacher, the founder of the Centre for Anti-Infective Agents in Vienna, led the session, which gave a review of the research and development programmes from across some of the most innovative and nimble European biotech companies. It is hoped that with most large pharmaceutical companies moving out of the development of new antibacterial treatments these small innovative companies and start-ups will be able to step up with novel solutions. 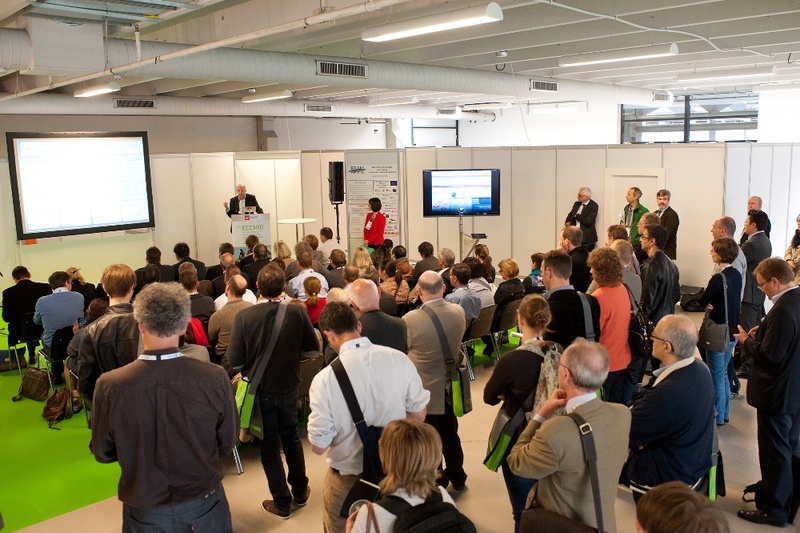 The European Society of Clinical Microbiology and Infectious Disease (ESCMID) announces a live update on breaking science emerging at its annual congress, ECCMID 2015 in Copenhagen. Copenhagen, 28 April: Each year the society selects key late-breaking abstracts – from the thousands submitted – and presents findings to the global infectious disease and microbiology community. These ground-breaking results were announced on Tuesday, 28 April 2015, at a dedicated session. We will give a summary of five abstracts presented on the efficacy of a new herpes zoster vaccine, renal failure rates, as well as advances on the treatments of bacterial pneumonia urinary tract and intra-abdominal infections. To view the abstracts (4145: solithromycin, 4167: herpes zoster, 4174: eravacyline, 4330: UTI, 4347: renal failure) go to our online library, which will be freely accessible until the end of August. The European Society of Clinical Microbiology and Infectious Disease (ESCMID) announces the winners of its 2015 awards at its annual congress. Copenhagen, 26 April: The exceptional contributions to scientific research made by four scientists working in the field of clinical microbiology are recognized at the 25th European Congress of Clinical Microbiology and Infectious Diseases (ECCMID) taking place in Copenhagen today. 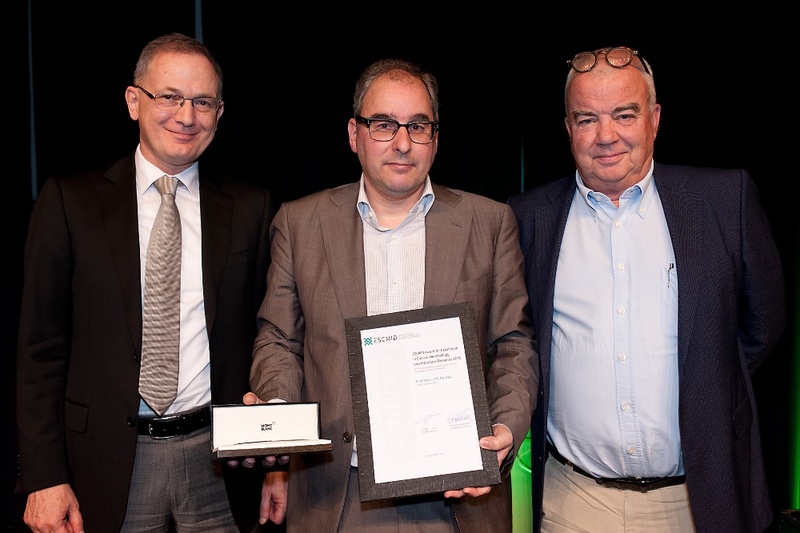 Marc Bonten, who runs the Medical Microbiology department at UMC Utrecht and leads the Infectious Disease Epidemiology Research Group at the Julius Center of Health Sciences and Primary Care, received the ‘ESCMID Award for Excellence in Clinical Microbiology and Infectious Diseases 2015’. Three more clinical microbiologists, Carolina Garcia-Vidal (Hospitalet de Llobregat, Spain), Jason Roberts (Brisbane, Australia) and Roy Sleator (Cork, Ireland), will receive ‘ESCMID Young Investigator Awards for Research in Clinical Microbiology and Infectious Diseases’. The European Society of Clinical Microbiology and Infectious Disease (ESCMID) today issued a special excellence award for outstanding achievement to Médecins Sans Frontières (MSF). 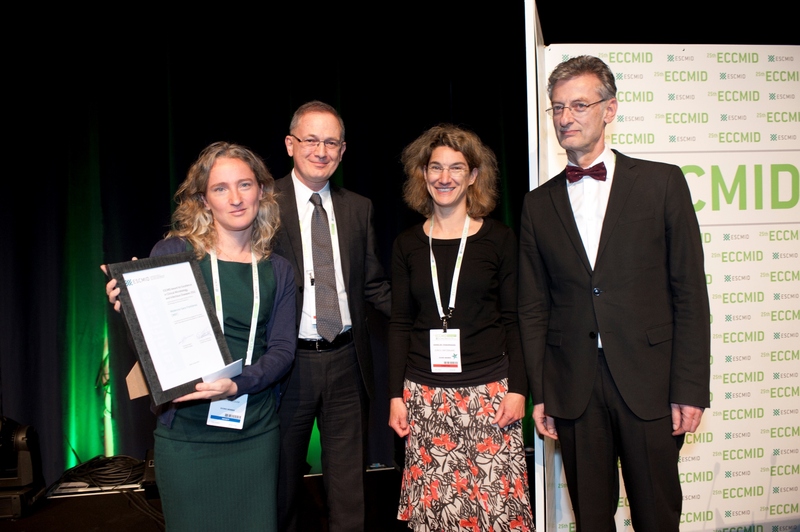 Copenhagen, 25 April: The award was bestowed in Copenhagen at ESCMID’s annual congress in light of the charity’s huge contribution to global health over the last 40 years, and in special recognition of its enormous efforts in fighting Ebola across Africa. The ESCMID Executive Committee took the unanimous decision to issue this one off award to Médecins Sans Frontières’ 30,000 employees - its physicians, nurses and other professional staff, who regularly put their own lives at risk all across the world. A group of leading scientists has warned that Europe could face more than a million deaths in an impending "Antibiotic Armageddon” unless more is spent on developing new cures, rapid diagnostics and preventative measures. Copenhagen, 21 April: Experts at the European Society of Clinical Microbiology and Infectious Diseases have warned that without more money being spent on developing new drugs and the rationing of existing supplies, deaths across Europe could pass the grim milestone of a million by 2025. No country is spared. In Britain alone an estimated 10,000 people die a year as a result of resistance, and experts fear this number could triple - or even quadruple within the next 10 years. The European Society of Clinical Microbiology and Infectious Disease (ESCMID) announces that the most prominent infection specialists will be gathering at its annual congress – the 25th ECCMID from 25-28 April. Copenhagen, 2 April: At this year’s annual congress, specialists from all disciplines in the fields of microbiology and infection, will be discussing the latest developments in the fight against infectious diseases and antibiotic resistance, including Ebola and multi-drug resistant TB to name a few. As one of the world’s largest conferences on clinical microbiology and infectious diseases, ECCMID offers microbiologists and clinicians an invaluable opportunity to share their most recent research in some 150 keynote lectures, oral sessions, educational workshops, symposia and approximately 2,500 poster presentations. Copenhagen, 16 March: The European Society for Clinical Microbiology and Infectious Diseases (ESCMID) has been joined by the World Health Organisation (WHO) to launch the 7th annual ‘International Day for Fighting Infection’ on 24 April 24, 2015. The event is free for anyone to attend and coincides with the ESCMID annual congress (ECCMID) in Copenhagen and the WHO’s “World Immunization Week”. This year’s joint event sees the European society exploring vaccines as a possible solution in the global, cross-border fight against antimicrobial resistance.